Pezon played for St. Cloud State for four seasons, tallying 95 points through her tenure. Pezon acted as Assistant Coach for St. Catherine University for the past two years. 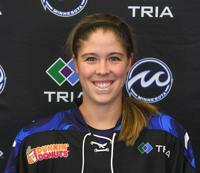 Pezon rejoins the Whitecaps for the team's first NWHL season.